The Pentagon, where homosexuality was cause for discipline until recently, will hold a Gay Pride Month event in June. Washington (CNN) - The Department of Defense announced Thursday that it will be commemorating lesbian, gay, bisexual and transgender pride later this month. 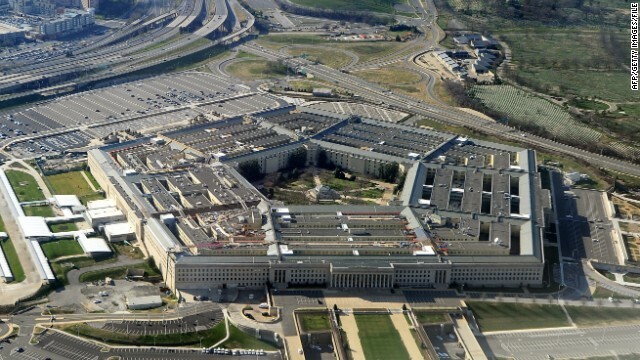 The event will be the first of its kind for the Pentagon. This abomination may well prove to be the end of Obama"s presidency. Problem: 1. There are too many men and women in the Service given and DoD is ripe for a drawdown. 2. The military has a surplus of men and women of limited intellect and great social bias. 3. These men and women suffer because the American they imagine and the America they actually serve are quite different. It looks less and less like a Thomas Kinkade painting for them every year. Recommended course of action: If you don't like the the new rules please take a step to the rear of formation and ring the bell. You'll feel better and so will the rest of us. GET OUT. 1) Being gay is not natural. Real service members always reject unnatural things like body armor, camouflage clothing, and vaccinations. 2) Gay service members will encourage people to be gay, in the same way that hanging around tall people will make you tall. 3) Gays in the military is not supported by religion. In a theocracy like ours, the values of one religion are imposed on the entire country. That's why we have only one religion in America. 4) Gay service members will change the foundation of the military; it could never adapt to new social norms. Just like they haven't adapted to APCs, indoor plumbing, or electronic communication. 5) The military has been around a long time and hasn't changed at all; women can't fly planes, blacks still can't serve with whites, and all ships still run on wind power. Partially disabled Desert Storm Army vet here. But what we did and do have control over is rising above the cruel piety of our "Christian" countrymen. What we do have control over is finding and fostering positive self-image despite the very best – and unrelenting – efforts of our "Christian" countrymen to convince us that we're less than them. What we do have control over is exposing the lies about ourselves that our "Christian" countrymen constantly spew. This is a waste of time. Are they going to have a STRAIGHT PRIDE MONTH???????????? IT'S ONLY FAIR.